Interested in making a montage video? Wondering how to keep the excitement alive after the birthday or wedding celebration is over? It’s easy! Make a video recording of the event with your camera or smartphone, turn it into a fun movie, and share it with friends and family. Get together and watch the video to re-live the highlights of the event whenever you want. 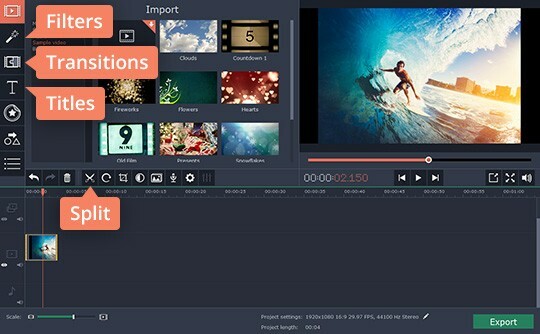 Use Movavi Video Editor to transform your video into a movie, complete with enhancements like subtitles and special effects. 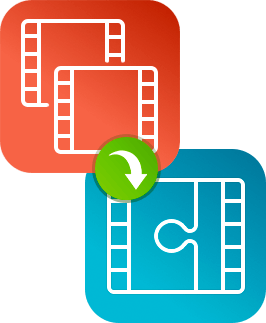 With this easy-to-use yet powerful program, you can make a video montage in no time and turn even a low-quality video into a beautiful and memorable movie! To learn how to make a montage with our video editing app, follow the guide below. Run the program file to start the setup. Once the installation is complete, the program will automatically open. 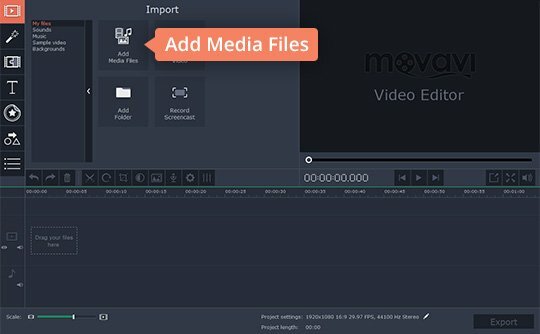 Click Add Media Files to choose the videos, photos, and audio tracks you want to use for your movie. You can upload as many files as you need in one go. You can also check out our stock video collection to add professionally directed clips to your movie. To do this, select Sample video in the list on the left and click Download more! or simply visit our stock video footage page. 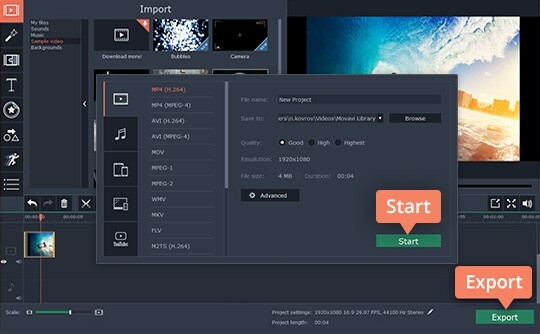 Visit our product page to have more information about Video Editor's features. 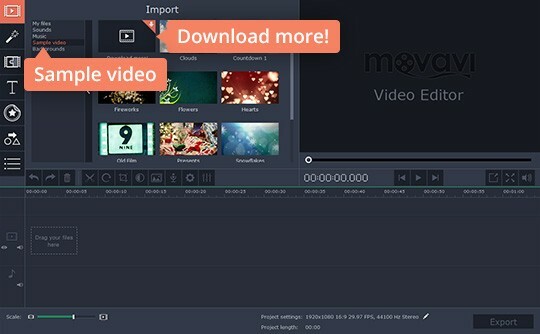 To save your video in Movavi Video Editor, just click the Export button. In the export window, you will see a series of tabs that allow you to save your movie in any popular format. If you want to upload your video to the web, click the Upload online tab. When you’ve chosen your desired option, click Start to save your movie. Do you want to burn your video to DVD? Try Movavi Video Suite for Windows! Along with DVD and Blu-ray burner, this software package includes a convenient video converter, screen recorder, and more.